For our fourth outing, we’ll be tasting our way through some wonderful whiskies from the island of Islay, Queen of the Hebrides, famed for its peaty potions and phenolic tonics, as well as some lighter expressions too. 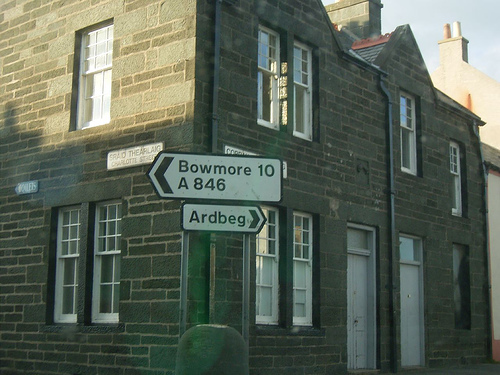 The island is home to eight active distilleries, giving us plenty to choose from, and anyone who hasn’t already signed up is advised to do so sharpish! The date is Thursday July 1 starting at 19:30 upstairs at The Gunmakers pub. Entry is £15 per person: there are 14 spaces only, so don’t delay – click here to reserve yours now! Our resident Yoda of booze and a man who – if he started wearing a full-faced helmet in public – could very well be the Stig of Whisky, Darren the Whisky Guy, managed to beat Andy to the punch this month and has written up some notes about our Islands tasting session. If you want to read them, you can do so by clicking on this sentence (i.e. the one you’re reading now… isn’t technology marvellous?). UPDATE: You can now read Andy’s belated blog post on Good Drinks Etc – here! 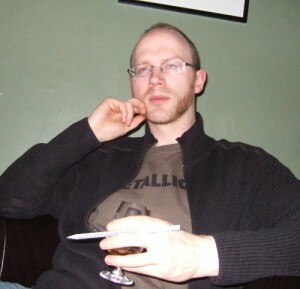 Posted on June 9, 2010 June 15, 2010 Author jasonCategories Past eventsLeave a comment on Whisky Squad #3 guestblogged! Thanks to everyone who has signed up to our third session on Thursday June 3. We’ll be in touch shortly to ask for your £15. We are now fully booked, but anyone who missed out on a place can email me at andy@whiskysquad.com and I’ll put you on a reserve list. Looking forward to WS#4, pencil in Thursday July 1. Details to follow. Now we know how to drink whisky (thanks, Whisky Squad #1) of contrasting styles (cheers, Whisky Squad #2), we thought it was time we sent our tastebuds and olfactory bulbs on a little scenic adventure. Whisky Squad #3 will take you island hopping – with some fine Scotches from destinations flung as far as Orkney, Skye, Mull, Jura and Arran. The date is Thursday June 3 starting at 19:30 upstairs at The Gunmakers pub. Entry is £15 per person, with spaces limited to a lucky 13. It would be ludicrous for you to miss this chance to try the interesting and sometimes lesser-known flavours of Scotland’s periphery – sign up here, immediately! I’ve posted a brief write-up of our most recent tasting (WS#2: Flavour Map) here. The next session will be on Thursday June 3, again at The Gunmakers. Details to follow shortly. 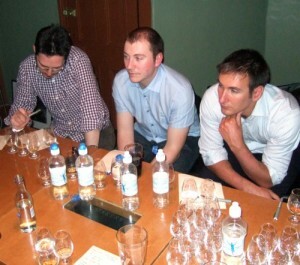 …then you could do far worse than popping along to The Hilton at Tower Bridge for The Whisky Lounge’s Whisky Festival. 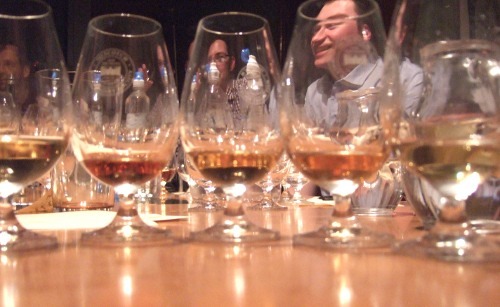 Running from noon til 7pm on Saturday the 15th of May, the guys at The Whisky Lounge have assembled an impressive number of whisky producers, distributors and retailers to set up shop, and it would be a worthwhile investment of £18 to get along there! I’m particularly interested in trying the new single malt from India – Amrut – which is actually a genuine 4 year old single malt rather than a molasses-based whisky like many other drinks they purvey. You might even run into one or 2 other Whisky Squadders! Squaddies. Errm… whatever the plural is. Whisky Squad #1 – it went rather well, oh yes it did! It’s probably worth dipping my oar in with a quick report at this stage – on April 1st 2010 WhiskySquad held its first tasting session, and it’s safe to say that everyone had a great time. 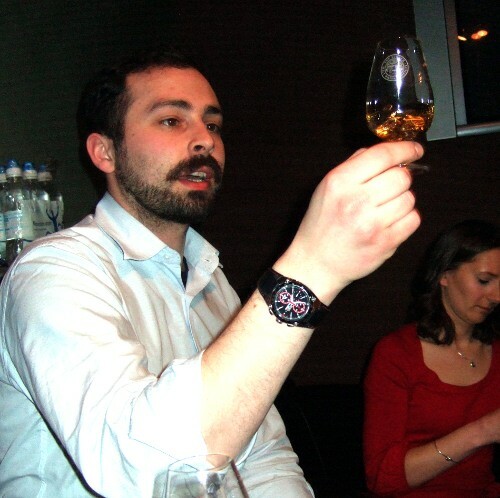 We were lucky to have the expert tasting tutelage of Darren The Whisky Guy to guide our exploration of the world of whisky – and as a super rare treat, we tasted our way through 5 different single cask whiskies! Keeping a blind-tasting format, Darren (along with helpful interjections from Andy & myself, and the odd non-helpful interjection from myself) talked us through many of the aspects of whisky production and maturation, and described why certain tastes might come up in a particular barrel. Encouraging us to come up with descriptions of smells & flavours that evoked a memory personally, it wasn’t long before there were murmurs of “sticky toffee pudding”, “the cherry out of a Manhattan”, and “smell a bit like a Hoover that’s gone wrong” – along with some more usual descriptors like “spicy apple”, “biscuity”, “lemon”, and soforth. The key point in tasting was that it’s not a matter of “getting it right”, or worrying about seeming inferior if you can’t pick out something that someone else has described strongly – the whole point of Whisky Squad is to have a go at tasting these things and finding out what you like & don’t like whilst in the company of a relaxed & friendly group of people. So, there we have it – bring on Whisky Squads #2, #3, #4, and… well, you get the idea. Posted on April 21, 2010 April 21, 2010 Author jasonCategories Past eventsLeave a comment on Whisky Squad #1 – it went rather well, oh yes it did! Thanks to everyone who signed up to our second session on Thursday May 6. We’ll be in touch shortly to ask for your £15. 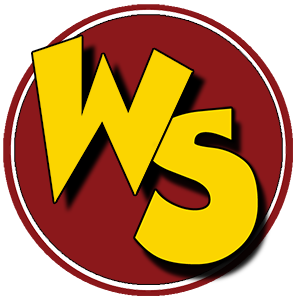 We are now fully booked, but for anyone who is keen to come along to WS#3, pencil in June 3 (we’re aiming for the first Thursday of each month). Details to follow. Whisky Squad #1 having been something of a triumph, we’re now inviting people to sign up to Whisky Squad #2, which will be held on Thursday May 6 (yes, we know that’s election day – vote early!) from 19:30 upstairs at The Gunmakers pub. The title of the tasting will be Flavour Map, inspired by something like this, and we propose to pick a whisky from each corner to get a better feel for the different styles out there. Full details – including the whiskies we’ll be sampling (unless we decide to keep things blind like last time) – will be put up on the site soon, but if you want to come, please follow the link here and register your attendance now, or be very disappointed. Spaces are limited to 12 and entry will be £15 in advance. Thanks to everyone who took part in our first tasting last week. A fuller write-up will appear here shortly. In the meantime, you can read Andy’s post on Good Drinks Etc here.